In testimonials summing up experiences with Jill Petersen, her husband/business partner Dan and their team at Petersen Partners/Berkshire Hathaway HomeServices (BHHS), clients most frequently use the words knowledgeable, patient, honest, understanding, helpful, readily available, good listeners, accommodating and proactive communicators. The team’s sales so far this year have exceeded $55 million. “With our refined training and support systems, a new and improved website and a solid business plan in place, we are poised for 2019 growth in terms of team size and business volume,” she says. 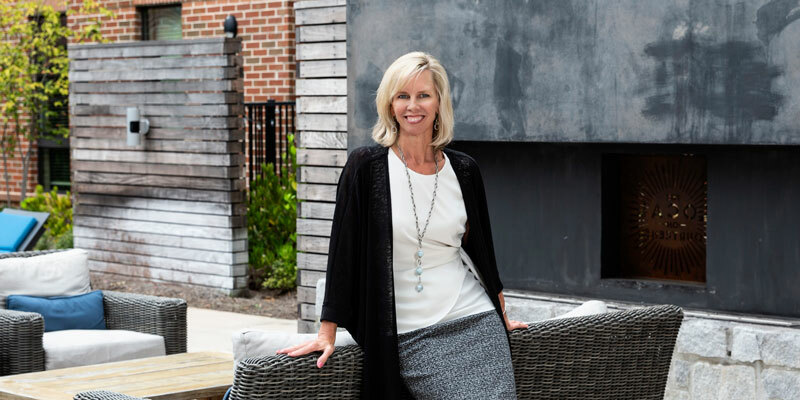 A member of the Atlanta Board of Realtors and the National Association of Realtors, Petersen’s success has been duly noted by BHHS. She earned a top 100 spot nationally the last two years; top ½ of 1 percent of BHHS agents worldwide 2014-2017; ranked No. 1 BHHS Team for 2014-2017 in Georgia; and earned a place in the BHHS 2015-2017 Chairman’s Circle Diamond. As a family, Jill and Dan enjoy running. Jill, in particular, likes more extreme or adrenaline-inducing sports and adventures, like axe tossing and ziplining. “I would like my next adventure to be a hang-gliding expedition,” she says. Petersen also makes time for a role that is very dear to her, serving as grade representative/volunteer for her eldest son’s senior class.